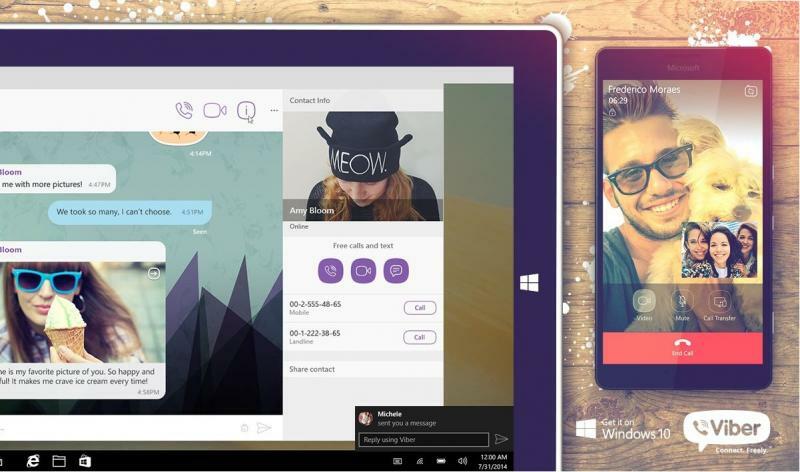 Today, Viber has released it final Viber UWP app for Windows 10 PCs and Mobiles. Viber app was in public beta since June 1. The latest Viber app include features like video calling, support for transparent tiles, quick reply from notification and more. We introduced the first version of our app for UWP and received an influx of useful feedback from our users. We’ve shaped an updated version with new features meant to give users the experience of seamless communication and multitasking capabilities. Video calls on Mobile: Viber UWP app now allows mobile users to make video calls to other Viber users. Quick Reply: You can now quickly reply to messages originating from Viber. Cortana Support: Viber now allows users to quickly start phone calls using Cortana. Message liking support: You now have the ability to like messages or other content. Other features: Sharing to Viber via the share charm, transparent tile, Pin chats to start for quick access and support for Russian and Portuguese.